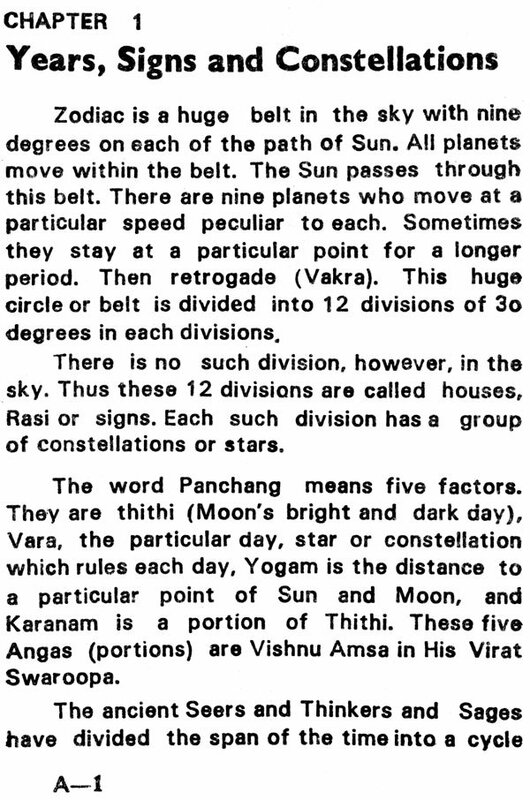 The matter relating to Astronomy is written in such a way so that an ordinary man can understand something about this science. The arrangements of the chapter are in order. The Philosphical touches given at various places is worth mentioning. It enhances the value of the book. In the chapter on prayers. 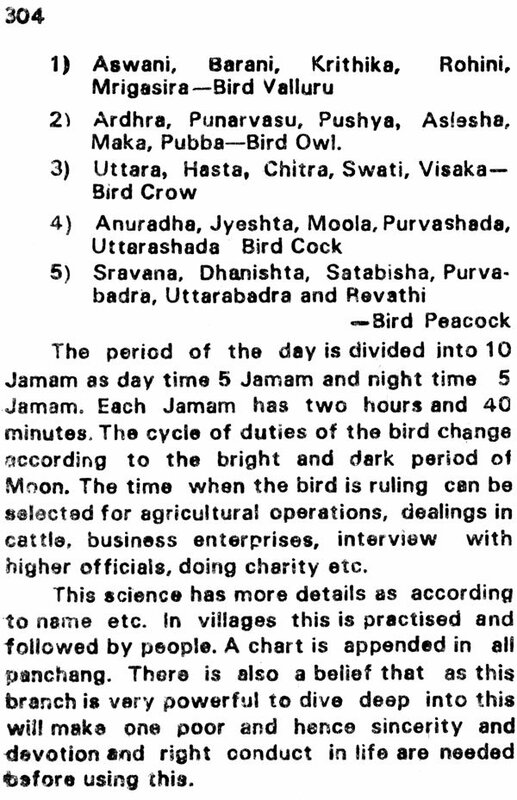 the author has rightly stated that prayers should be done to one form instead of changing from time to time according to Dasa, Bukthi etc. 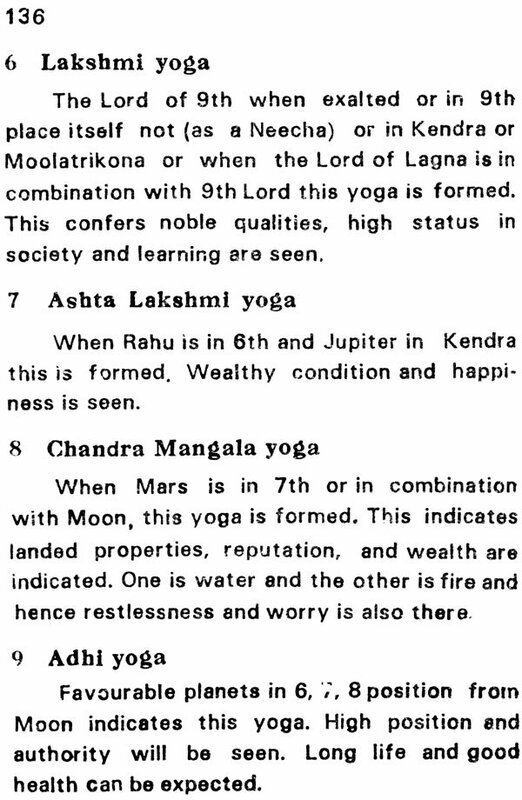 The likita Japa is a novel one to aid concentration. 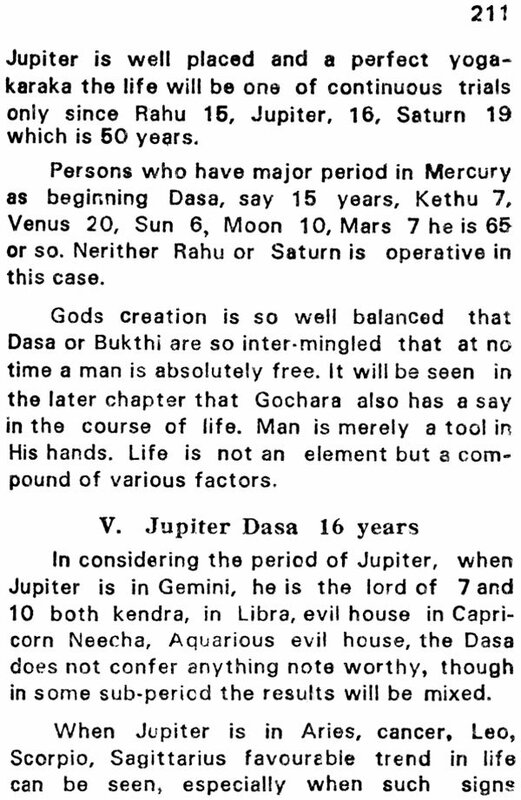 On the predictive side of astrology no astrologar can pin point his prediction unless he is gifted by Goddess of speech. 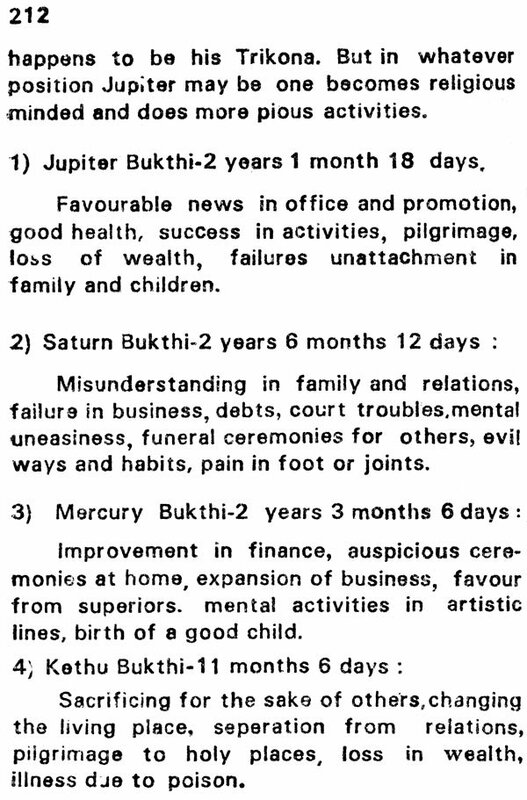 The horo- scope is prepared of on the basis of birth time. 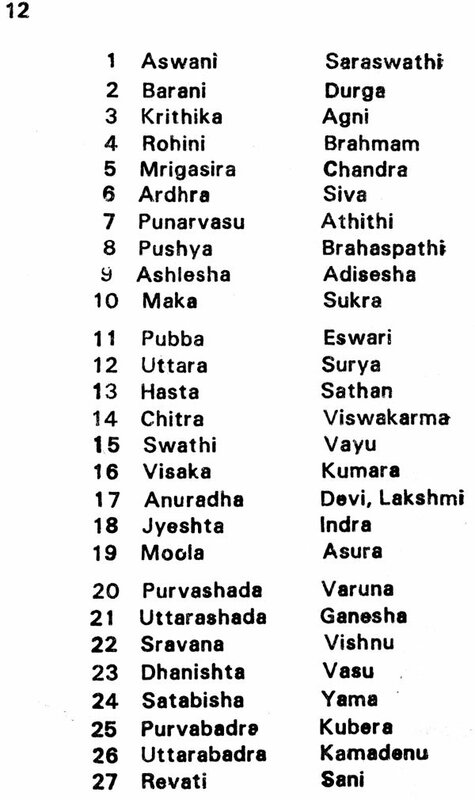 Hence the accuracv of birth time is an essentia factor. 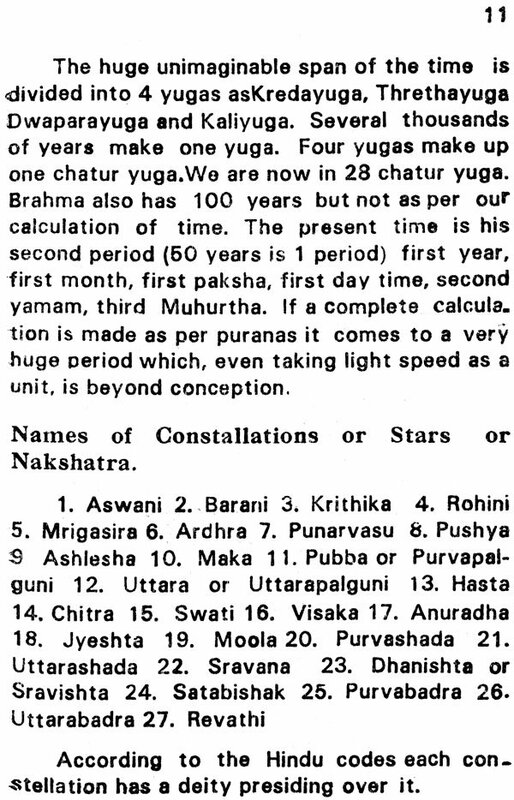 In view of the inaccuracy in noting the birth time, prediction can be given on the basis of Gochara to a major extent. 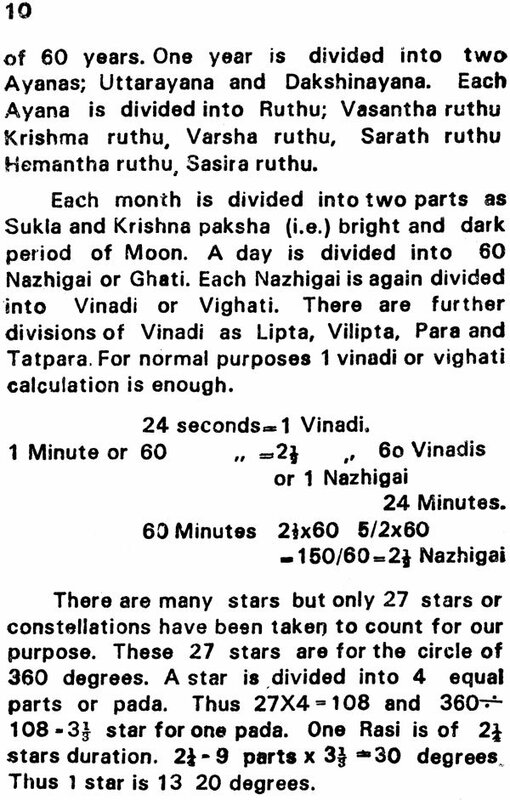 Perhaps the ancient sages have thought over this and have given weight to this Gochara since the planets are all moving at every Portion of a second. 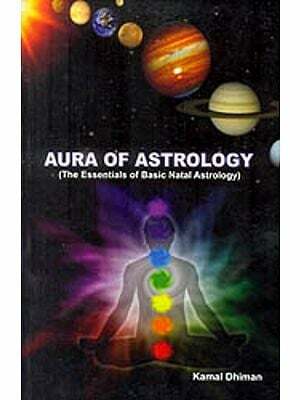 The author has already written books in Numerology and Palmistry. He is very conver. sant with all these three branches. 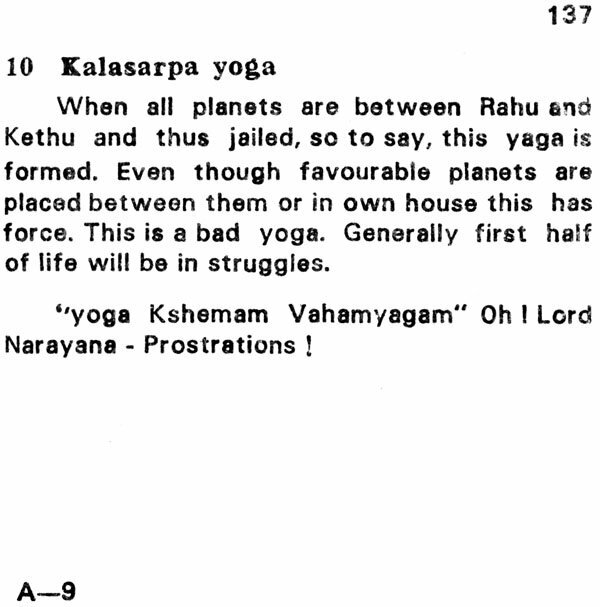 He has taken much pains in preparing this book more for the common men. He deserves to be con. gratulated. 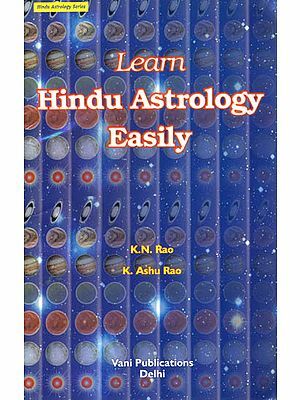 Even though there are plenty of books on Astrology, this book is an exception in the sense that it contains useful, novel Ideas necessary for, atleast to get a minimum know. ledge in the Subject. 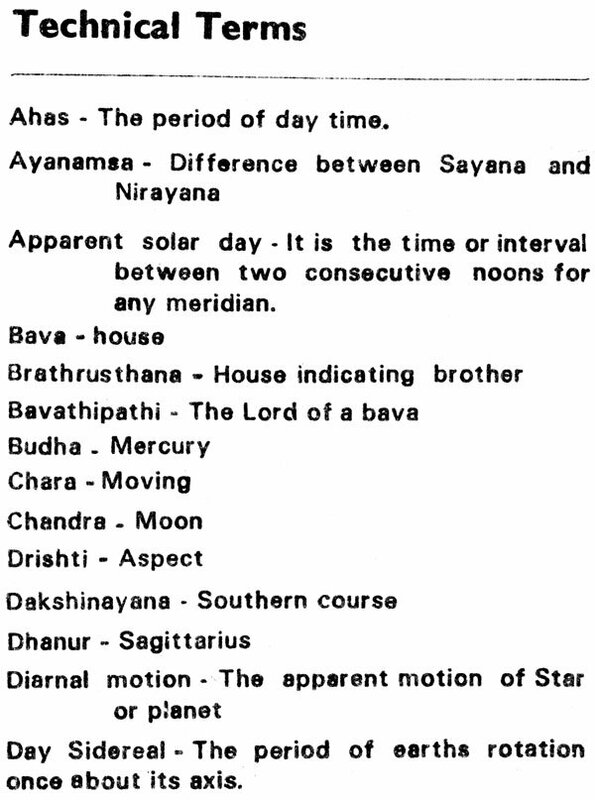 Jothisham Astrology is a portion in Vedha. 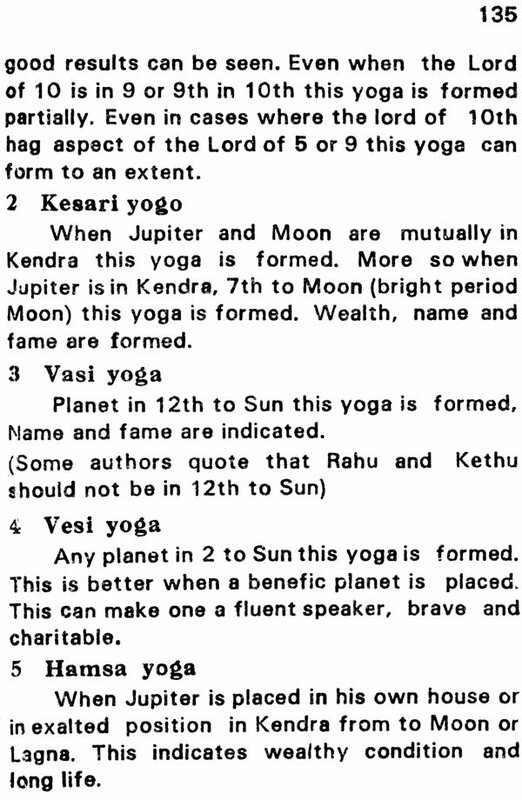 The ancient sages brought out wonderful truth regarding planets and their significance. Many do not believe past Karma. Then what is their answer for one person at the lower standard of life and another talented? 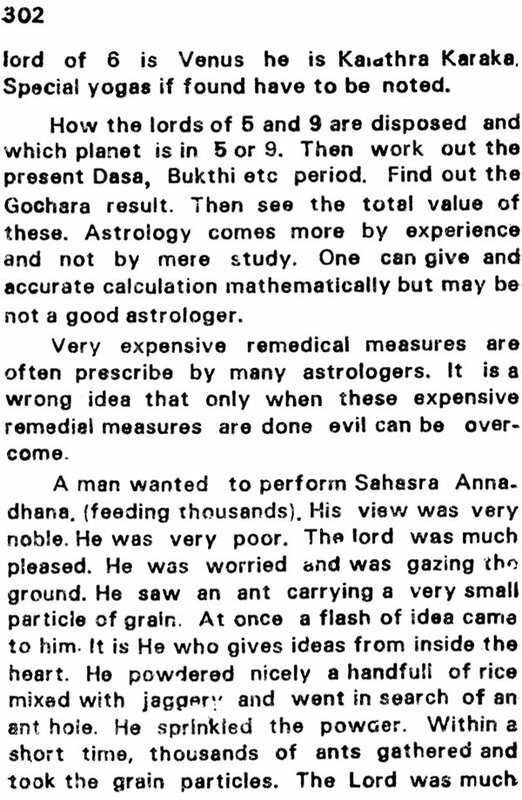 Man is born again and again to reap his Karma only till he attains Atma Gnana. 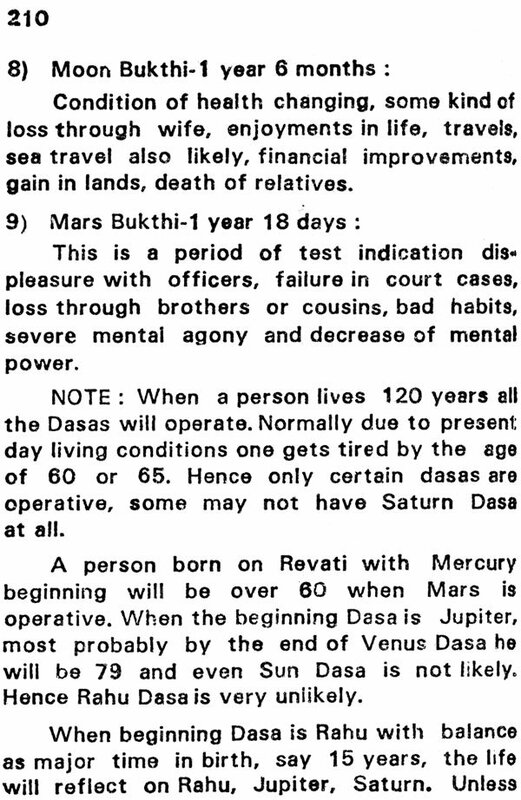 This previous Karma is denoted by the position of planets at the time of birth. 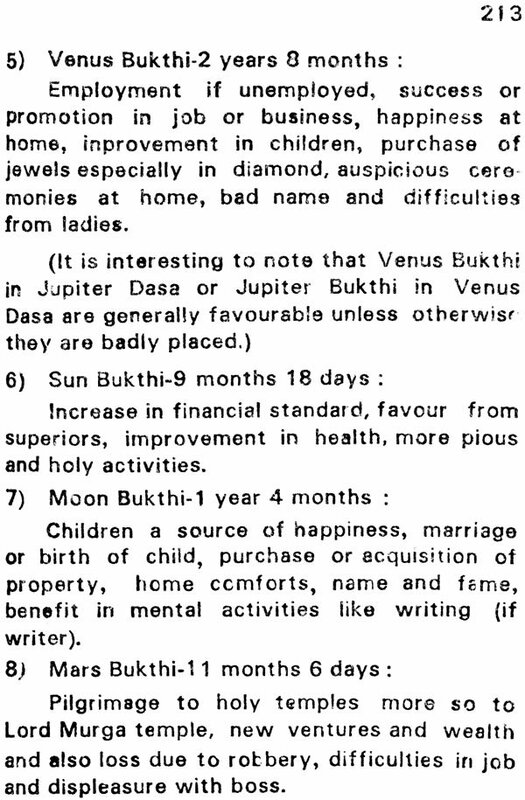 Several astrologers give several kinds' of opinion for a horoscope. Each feels right in his own way. This kind of several opinions are not peculiar to this branch alone. 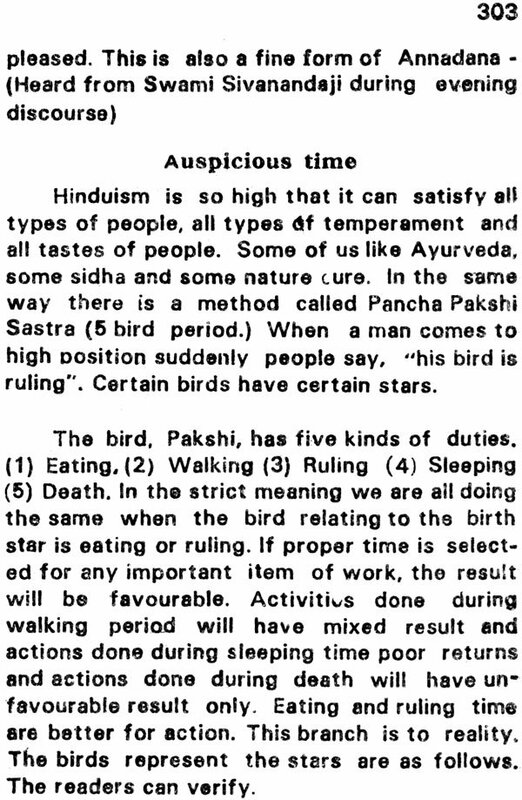 Swami Sivanandaji used to say often, when there is one doctor there is one prescription, when two, there is consultation and when three it is cremation. In medical, Vedanta, in scientific theories, in literature, in life pattern and in everything around us there are many schools of thought. Basic factors generally do not change. 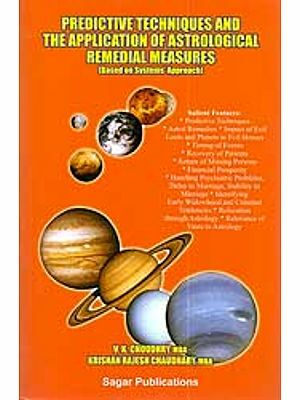 This small book is for common man. 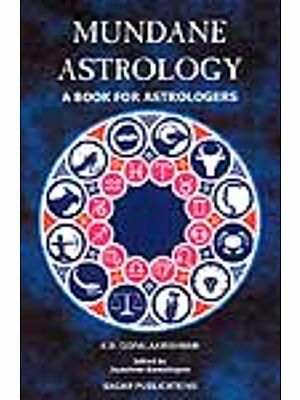 For the past twenty five years I have analysed sufficient number of horoscopes. In all cases I give practicale side of life advices. 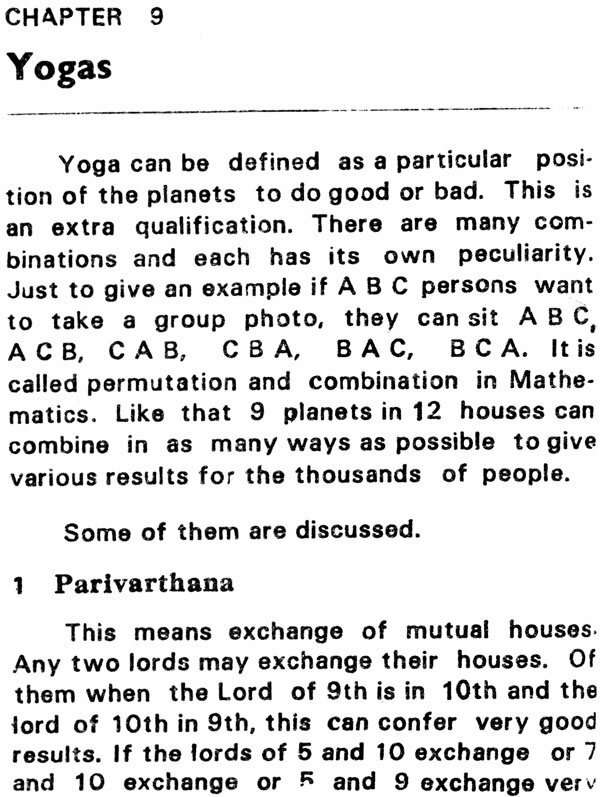 I have avoided all mathematical calculations of Bhava Sputa, Ashta Varka etc. 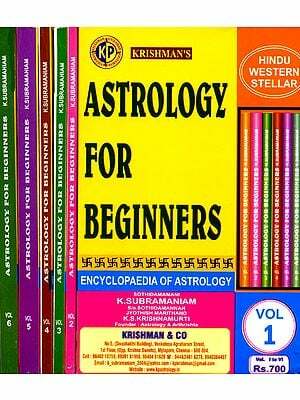 If readers want to enrich their knowledge they can go through other books on this subject.